Transportation Demand Management for Site Plan Development (TDM for Site Plans) is a division of ATP and Arlington County Commuter Services that coordinates the design and implementation of transportation elements in large building projects and partners with developers and property managers to ensure that transportation requirements and services enhance the mobility of residents, employees, and visitors. TDM for Site Plans works directly with developers and property managers to mitigate the transportation impacts of residential and commercial development by increasing the availability, awareness, and use of transit, ridesharing, carsharing, biking, bikesharing, and walking. 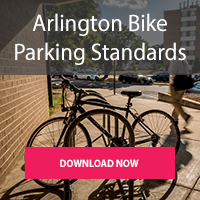 Like other ACCS programs and services, the underlying goal of TDM for Site Plans is to reduce single-occupant vehicle (SOV) trips in Arlington by offering more and better choices at the building level. A major strategy to achieve this goal is incorporating important physical infrastructural features, such as bike parking facilities and van-accessible garages, into new or renovated development at the time of construction. 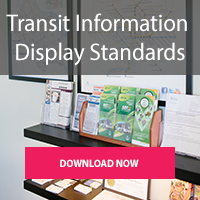 TDM for Site Plans also actively assists and monitors over 200 site plans properties to ensure they meet ongoing transportation management program responsibilities. For site plan applications submitted in accordance with Administrative Regulation 4.1, the County evaluates a site plan proposal, including site characteristics, proposed land-use, the traffic impact analysis, and proposed parking plan, to determine likely impacts and opportunities of the proposal. This language supports mobility in the long-term because it commits properties to implementation year after year, regardless of changes in property ownership or management. The developer of an approved site plan must prepare a TDM Plan, complete with a schedule and details of implementation of the “TDM Program” of strategies outlined in the adopted site plan condition. This Plan must be approved by the County TDM Planner before the County will issue the first Certificate of Occupancy for the building. If you need guidance on how to prepare a TDM Plan, please refer to our sample plan template. It is also typical for installation of any required infrastructure, such as bike parking facilities, to be required prior to issuance of this first Certificate of Occupancy. Subsequent to occupancy, the developer is responsible for implementing the Plan as a whole, including management components such as designating and training an on-site Property Transportation Coordinator (PTC), programmatic elements such as carpool/vanpool programs, or annual contributions or reporting, if required. The Arlington County Zoning Ordinance describes the ramifications of not complying with site plan conditions adopted as a part of the site plan approval process. The Site Plans team conducts annual site visits for all properties that have TDM site plan conditions. This annual site visit fulfills the condition that a site plan building “submit an annual report or letter” outlining TDM activities over the past year, and allows TDM for Site Plans staff to offer assistance to property managers that need to fulfill TDM site plan conditions. A site visit is comprised of a sit-down meeting and walkaround tour of the property. Site visits last between 60 and 90 minutes, depending on the size of the property and complexity of the TDM program at that site. At the meeting, the property manager and Site Plans staff will review each component of the approved TDM plan. Property managers should be prepared to discuss how they are meeting each component of the plan, providing backup material if necessary. During the tour portion of the site visit, Site Plans staff will check that elements of the building’s physical infrastructure (e.g., bike parking, showers, lockers, carpool/vanpool parking, and transportation information kiosks) are in good shape and meet the TDM plan requirements. Afterward the site visit, the Site Plans team member will send a site visit summary to the property manager. 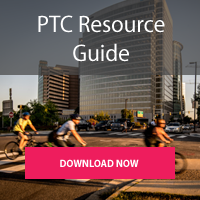 This summary reviews a property’s progress in meeting the requirements of the TDM plan and, if necessary, highlights any next steps for the property manager to bring the property into compliance. The property manager reviews, signs, and returns the site visit summary as acknowledgement of the annual site visit and information within the summary. Property managers and/or developers are usually responsible for at least some portion of the cost of the study; the property’s liability may be capped at a certain amount or their responsibility may extend to the full cost of the study. Property managers/developers should refer to their specific site plan conditions to determine their exact building study requirements and obligations. Site Plans staff will contact buildings as their studies are due to ensure that the building has budgeted for the cost of the study and to agree upon a time period of several days to run the study. The ACCS building studies contractor will set up a visit to the site to generate a scope of work and cost estimate for the building study. Site-specific conditions and individual building study requirements will impact the scope and budget of a building study. Once all parties agree upon the scope and budget and the property manager has provided a written notice to proceed, the building studies contractor will initiate and manage the building study process with assistance from the property manager, as needed. Once data collection and analysis is complete, Site Plans will issue an invoice for the amount that the property is responsible for. After the invoice has been paid, the Site Plans team will set up a meeting with the property manager to discuss the building study results and how they can use the results to better meet the transportation needs of their building tenants.